May obtained her BA in History and Politics from Queen Mary College, University of London, her MSc in European Politics from Birkbeck College, University of London and her MSc in Politics of Empire and Post-Imperialism from LSE. She has worked as an intern at the House of Commons, at the European Parliament in Brussels and the office of the Secretary-General for Culture of UNESCO. She has worked for TEPSA and for the International Chamber of Commerce and as an advisor to the Minister for Justice, to the Minister of Foreign Affairs. She was Deputy International Secretary of Nea Demokratia and is currently the Deputy Secretary of Strategic Planning & Communications of Nea Demokratia. In 2011 she represented Greece at the State Department IVLP program “Women in Public Service”. In 2012 she participated in the John F Kennedy School of Government program “Leaders of SouthEast Europe” in Istanbul, Turkey. She speaks fluent English, French, basic German and is learning Russian. She is the mother of Olympia. Maria is research associate at Athens University of Economics and Business and Empowerment & Leadership coach, member of the ICF. She obtained her PhD in International Relations from the Sorbonne. She has worked at the European Parliament and as a scientific advisor to the Office of the Secretary General for European Affairs of the Hellenic Ministry for Foreign Affairs. She was research fellow at the Euro-Mediterranean Observatory of the Hellenic Centre for European Studies and visiting research fellow at the University of the Peloponnese, Department of Political Science and International Relations. Her work, focusing on Euro-Mediterranean relations, EU-UN relations and EU parliamentary diplomacy has been presented in various international conferences and published in several collective volumes and peer-reviewed journals. She speaks Greek, English, French, Italian, Spanish and Turkish. Christina is a designer that helps organisations and companies create unique and meaningful experiences. She specialises in User Experience Design, Innovation Strategy, Design Research, Idea Generation & Concept Development. Outcomes vary depending on project; from digital & physical products to systems and services. She has worked extensively with the Greek & UK tech startup scene, and has therefore acquired in depth understanding of various sectors ranging from gaming and tourism to F&B and film production. She consults clients on brand experience, UX/UI, communication design for fundraising and innovation focused design thinking methods. Christina has been a member of the TEDxThessaloniki organising team since 2011. She holds an MA from the Royal College of Art, an MSc from Imperial College London in Innovation Design Engineering and a Diploma in Product & Systems Design Engineering from the University of the Aegean. Antigoni Kouvidi is currently Managing Editor at diaNEOsis Research and Policy Institute. Previously she served as Communications Manager-Researcher at the Institute of Communication and Computer Systems and as Head of Publications and Research Department at the Konstantinos Karamanlis Institute for Democracy. She has more than a decade’s experience working for think-tanks and NGOs in the research, publishing and communication field. She obtained her BA in Modern and Contemporary History from University of Crete and her MSc in Communication and Media Studies from National and Kapodistrian University of Athens. Maria finished her studies in Greece and abroad, in the field of Statistics, Mathematics, Economics and Political Science. She worked for private polling companies in Greece, as the Deputy Spokesperson and Secretary of Media and Press of the Greek Socialist Party (PASOK). From 2011 to 2014 she was elected as the Vice Governor of Attiki (the greater Athens area). She currently works as a political analyst for the Greek polling company RASS SA. Sevi, Ph.D, is a lawyer specialized in EU Competition Law. She has a special legal advisor post with the Greek Competition Authority since 2005. She is an instructor / evaluator in the (National Centre for Public Administration and Local Government (EKDDA) in the subject of EU law. She has worked for 5 years in the European Parliament, focusing on issues of the Committees on Energy, Research and Industry, Environment and Consumer Protection. She holds a Ph.D on Competion Law from the Aristotle University of Salonica. She also holds an M.A. in EU Law from the European University Institute and an M.A. in Public International Law and Political Science from the Universite Libre de Bruxelles. She speaks English, French and German. Eleni is a Theatrologist and a Cultural Policy and Management Consultant. She holds a BA and an MA in Theatre Studies from the University of Athens, an MA in Theatre Performance from the University of Thessaloniki (School of Fine Arts), an MA in European Cultural Policy and Administration from the University of Warwick (Centre for Cultural Policy Studies) as well as an MSc in Culture and Society from LSE. Since 2005, Eleni has collaborated with numerous well established Greek cultural institutions (Hellenic Festival S.A., ERT S.A., State Theatre of Northern Greece, Theatro Technis, Michael Cacoyannis Foundation). She was the Artistic Director of DI.PE.THE Roumelis. Today she is a Member of the Consulting Committee of Michael Cacoyannis Foundation. From 2006 to 2014 she was an elected Municipal Councilor of the Municipalities of Psychiko and Philothei-Psychico, where she served as a Vice-Mayor and as an Appointed Councilor for Culture. In May 2016 Eleni was appointed Deputy Secretary of Party-Society Relations, New Democracy Party, position which holds until present. She is elected Secretary General of the Hellenic Alumni Association of LSE, a member of ICOM – Hellenic Committee, a member of DIAZOMA, a member of the European Union of Women (EUW) – Hellenic Section and a member of the Pan-Hellenic Women Sport Association KALLIPATEIRA. Dr Angeliki Kosmopoulou is a communications consultant with a broad professional experience. She has worked with a broad clientele including multinational companies, small businesses, public and private organizations, as well as individual clients in politics, the arts and science. She specializes in content creation and has taught copywriting and storytelling to communications professionals as well as the general audience. She has served as a special advisor at the Hellenic Parliament and the Ministry of Culture, as well as a consultant to politicians at the national and local level. She holds a B.A. in History and Archaeology from the National and Kapodistrian University of Αthens, an MA and PhD in Classical Archaeology from Bryn Mawr College, Pennsylvania, USA and an MBA from Leicester University. She is the author of a monograph (The Iconography of Sculptured Statue Bases in the Archaic and Classical Periods, Madison, Wisconsin 2002) and several scholarly articles in archaeology, while she is a regular columnist for several journals, writing about communications, politics and running. Angeliki currently heads the A.C. Laskaridis Charitable Foundation and is a Member of the Board of The People’s Trust. "Women are often under-represented as speakers in conferences, yet they give some of the most powerful talks. We need to empower women in the workplace, marketplace and community. We have to make sure that women’s voices will be heard. Because women have so much to say, so much knowledge to share and make some of the most hard working and committed speakers." 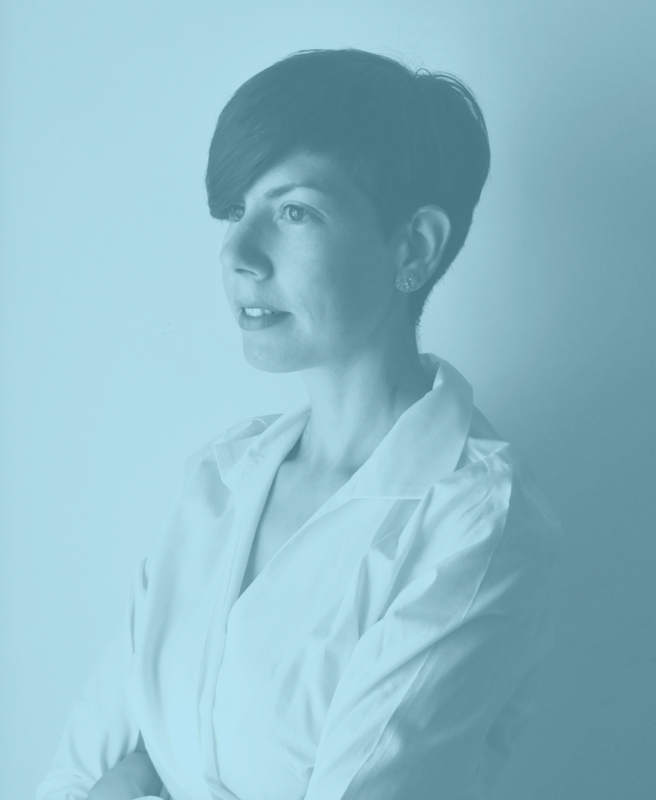 Katerina is a Berlin based conferences curator and speakers' coach. Or to put it even better a curator of ideas. She's a Curation Assistant at TED and working for several other events around the world. She holds an MPhil from the University of Cambridge on Heritage Management and Museums, however her real passion was always helping people effectively structure their talks. Katerina is one of those people who, in the torrent of ideas and information, tries to filter and connect what's relevant, and give it a stage. Her main goal is to make sure speakers are communicating their message clearly and effectively to the public; from drafting the talk together to the final presentation and stage performance. Katerina does executive coaching for companies and organizes public speaking workshops worldwide. You can find more about her here. “Women Up! Now is the time! It is urgent to make sure that women can actually rise up against the crisis. Let us not forget that women are mostly absent from economic and political decision making, whereas major decisions concerning our economic independence are taken.Now is the time for guarantee an equal access for women and men and this from a young age to political, economic and social field”. Zefi Dimadama holds a PhD on “Environmental policies and Regional Development” and a Post-graduate Diploma (MSc) in Economic and Regional Development from Panteion University of Athens. She is Senior Research Fellow at International, European and Regional Studies, Panteion University. As an expert on Environmental & Energy Security in SE Europe she was leading the International Centre for Black Sea Studies until 2016. Dr. Dimadama is Vice-President of Party of European Socialists Women and Vice-President of Greek Political Association of Women and of HELLENIC U.S. Alumni Association.Regular presence with articles and essays at various international scientific Journals and social websites, both in English and Greek, about sustainable development, energy security, environmental policies, women empowerment, gender equality and human rights. Dr. Nancy Mallerou, is the Founder & CEO of Life Clinic Group, the leading company for personal and professional evolution, active in the coaching field since 2006 (formerly LifeCoachingGreece), offering Coaching programs for businesses, organizations, executives, entrepreneurs and individuals. In her 12-year presence she has been recognized for her effort to promote excellence, ethos and balance in the business world. Her long-standing experience as a communications executive in multinational corporations as well as her academic training make her a pioneer in Greece in organizing and conducting business programs that focus and strengthen among other areas those of leadership, achievement, personal development, and business guidance. Dr. Nancy Mallerou has a Doctorate in Co-opetitive Strategies, Master in Business Administration, a degree in French Literature and she is an ICF accredited Master Coach. She has attended numerous certified seminars in Life Style Management from the Harvard Medical School-Dept. of Continuous Education and the John Mattone's University “Intelligent Leadership Executive Coaching Program”, and has been a Founding Member and former President of the Greek Chapter of the ICF (International Coaching Federation). She has taught Marketing at the Panteion University and has delivered lectures for Improving Life and Achieving Goals at the American College, the Athens Medical School, the MITERA Maternity Hospital and at numerous other conferences and forums. She is the founder of the non-profit organization, “KALYTERA GINETAI”, dedicated to offering free coaching to disadvantaged social groups through seminars, publications & private sessions. The pilot seminar launched in April 2013 and up until today more than 3.500 people have attended sharing great feedback through social media and the press.